University isn’t just the place you go to after high school, it’s also the place that prepares you for life after it. Landing that dream grad job is incredibly exciting, but what can you do to ensure that you’re ready to take the plunge? 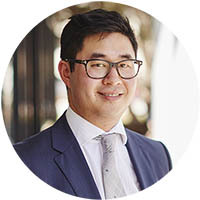 With the semester slowly coming to an end, Jonathan Teoh – lecturer in taxation and Director of Undergraduate Studies in the Department of Business Law and Taxation – tells us how he prepares his students for the workforce, what you can do to prepare for life after uni, and what kind of graduates industry is looking for. 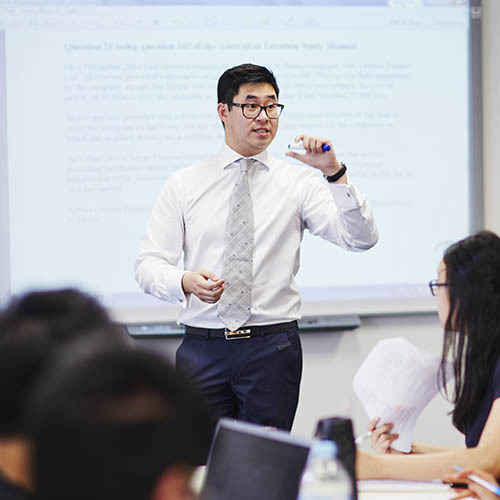 I had not intended on an academic career at university, but a sessional teaching opening provided an opportunity for me to explain to future tax practitioners how the materials they were learning mattered to their work in business and in our everyday lives. A lot of the material that I teach is highly technical and abstract. For students with no prior tax knowledge, this can be quite complex. To highlight the importance of the curriculum, I always try to show how the materials are directly relevant to them so they enjoy what they’re learning and engage with the topic. When studying tax law or any subject, it helps to step back and think how it impacts on you directly. For example, an introduction to the GST imposed on the sale of goods and services would be a dry and uninteresting topic on its own. But it can come alive if you do what my students do and open your wallet, pull out all the receipts you’ve collected, and figure out which ones have GST added to the price and which ones don’t. From here, you can then work out why some have GST and some do not. While we’re teaching very technical skills and knowledge, the materials that we use act as a base to develop all the critical thinking skills that students need for life after uni. In my lectures and classes, I’m always trying to prepare students for the workforce, but having said that, life after university is a pretty steep learning curve. Employers are looking for people with a strong ability to critically analyse problems. You should be able to build relationships with your colleagues, clients and stakeholders, and you should be able to use the skills you’ve developed and the knowledge you’ve learnt to create innovative solutions. Employers are looking for people who are reliable, have a keen sense of detail, and are able to take initiative and work things out for themselves. The ones who do particularly well in private practice are the ones who aren’t afraid to be flexible, intuitive and proactive. No two clients will have the same issue, so you need to be able to dissect the primary issues, decipher what’s relevant, know your work, and be able to combine all of the above to achieve, deliver and communicate a commercially realistic outcome. Ultimately, employers are looking for people who show enthusiasm and are passionate about the field they’re going into. If you’re excited about your work, that will show. While skills and knowledge are definitely important factors, perception and reputation are also up there. In industry, everyone knows everyone, so don’t forget to make a good impression and network. Putting in hard work and developing strong relationships is a good way to ensure you have sustainable career.